In the Netherlands, more than 1.7 million kilometers of utilities lie underground. These are pipelines for water, electricity, gas and oil. And cables for electricity and data traffic. Every year, about 20% of all excavation work causes damage to utilities. That is about 35,000 cases. This means a direct damage of approximate € 25 million per year. By using the BlindGuide App, excavation damage can be prevented quickly and easily. There are enough utilities in the Dutch underground to travel around the world 42 times. Every year, about 20% of all excavation work causes damage to utilities. This means a direct damage item of around € 25 million per year. 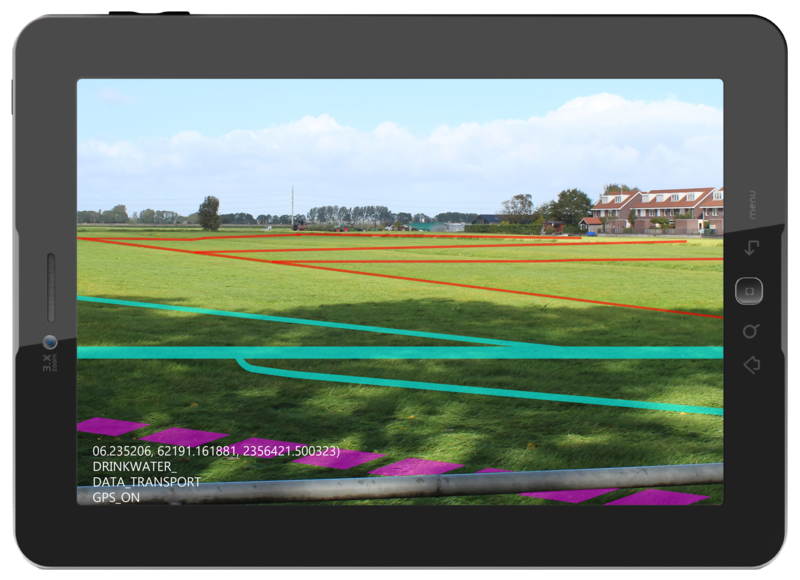 Simply choose which pipes you want visible on 2D maps or project them via Augmented Reality. 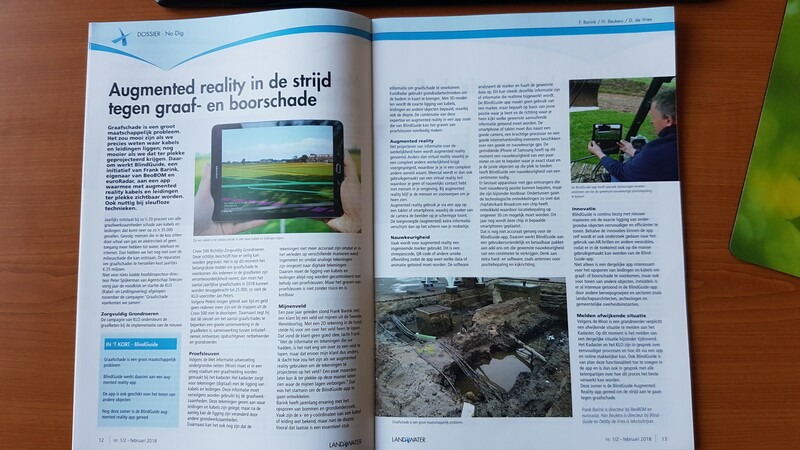 Use Augmented Reality to see pipes and ducts that will be placed in the future. .
Get a clear picture of the current situation by projecting GEO spatial data such as our dutch “KLIC report” or radar data via Augmented Reality..
Excavation damage to utilities is very capital intensive and this can be prevented by BlindGuide. BlindGuide not only prevents the financial consequences of excavation damage, but also other consequences such as legal conflicts. BlindGuide is completely digital, no big and awkward maps that can get wet during a rainy day at the job. All information quickly and conveniently at your disposal. BlindGuide is fast and reliable, which means that the projects will run faster than when you onlu use the traditional Geospatial data on paper. The predetermination of the location of underground utilities both horizontally and vertically reduces the risk of excavation damage. 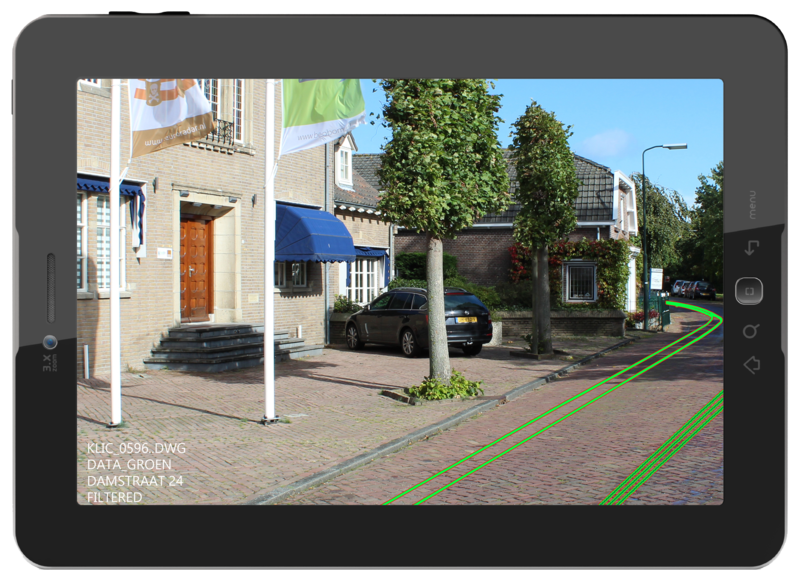 With BlindGuide, all GEO spaital data is processed accuratly so that the utilities can be projected onto both maps and Augmented Reality. At BlindGuide we are happy to help you prevent excavation damage. Our years of experience in explosives detection, soil research and the cable and pipe industry help us to better inform you. 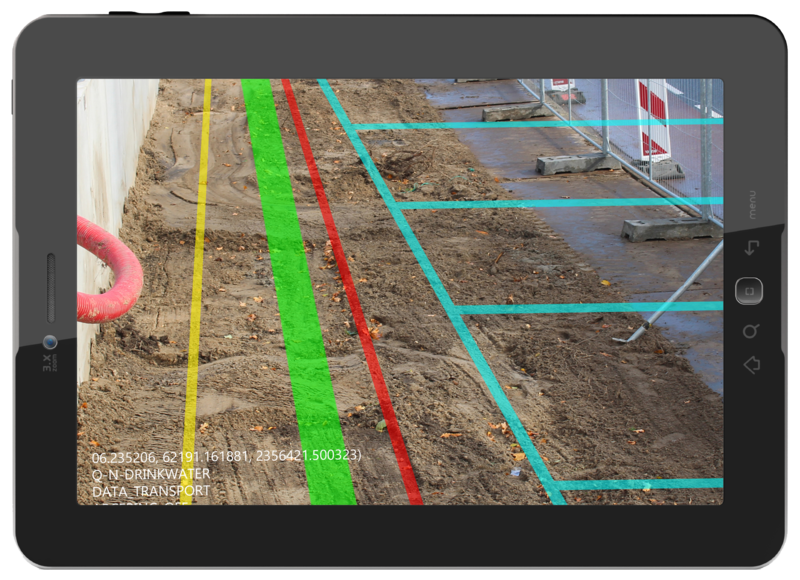 The proven technology of BlindGuide and Euroradar guarantees an effective and efficient process for successfully preventing excavation damage. Do you want more information or a live demonstration?